The stress-diathesis model is a well-known but little-tested theory which states that people can possess diatheses, or vulnerabilities, to certain mental disorders such as depression or anxiety. These diatheses are activated when a person is under stress. This study examined how ostracism as a temporary stressor can trigger existing diatheses and cause increases in depression symptoms among at-risk people. Theory suggests that ostracism is likely to trigger symptoms of depression in at-risk people. This study is an extension of a study conducted by Luxton, Ingram, and Wenzlaff (2006) in which people with naturally varying levels of diathesis factors were exposed to a psychological threat, after which diathesis activation and depressive symptoms were assessed. Like Luxton et al., 2006, I exposed participants to a stressor (ostracism) and measured depression symptoms and diathesis activation with different measures. It was expected that for people who possessed diatheses that the ostracism threat would activate symptoms of depression. 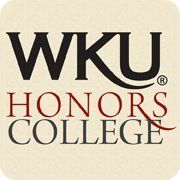 My sample consisted of 177 WKU students, 112 female and 65 male. Effects were found on state anxiety and positive and negative affect scales. Archer, Rachel, "Mood and Experience: Effects of Ostracism on Diathesis Activation" (2014). Honors College Capstone Experience/Thesis Projects. Paper 455.